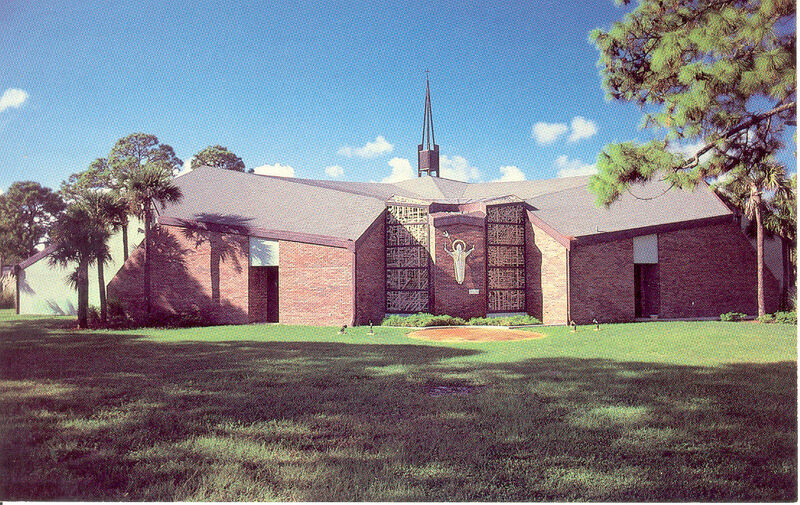 Saint Teresa's Church has been in existence in Titusville Florida since 1958. We have over 1800 families in our faith-filled community and is located on the Space Coast, directly across from Kennedy Space Center. We have a unique of multi-ethnic and multi-age congregation. This uniqueness has created a vibrant, supportive and involved parish community. Saint Teresa's is an active parish with many different ministries, please visit the ministries page or call 321-268-3441 for more information. Please join us and spread the works of our Lord. Compline prayed together at 10:15 PM. We will have an all day Eucharistic Adoration on Thursday from 10am to 6:00pm in the Chapel. Please come and not leave our Lord in the Eucharist unattended during this time. There is a sign-up sheet on the table in the main church entrance. There will be the Spanish Holy Hour and Exposition from 6 – 7:15 PM with week and all are invited. Butter- This reminds us of the good will of Christ that we should have towards all things. The butter is usually formed as a lamb. Eggs - Indicates new life and Christ's Resurrection from the tomb. Ham - Symbolic of great joy and abundance. Some prefer lamb or veal. Also Kielbasa-A sausage product, symbolic of God's favor and generosity. Salt - A necessary element in our physical life. Symbolic of prosperity and justice and to remind us that people are the flavor of the earth. Candle - Represents Christ as the Light of the World. Please join us in an Easter Egg Hunt for all children. The event will take place in the School courtyard at 1:00 p.m.